Come on in, take off your skin, and rattle around in your bones! 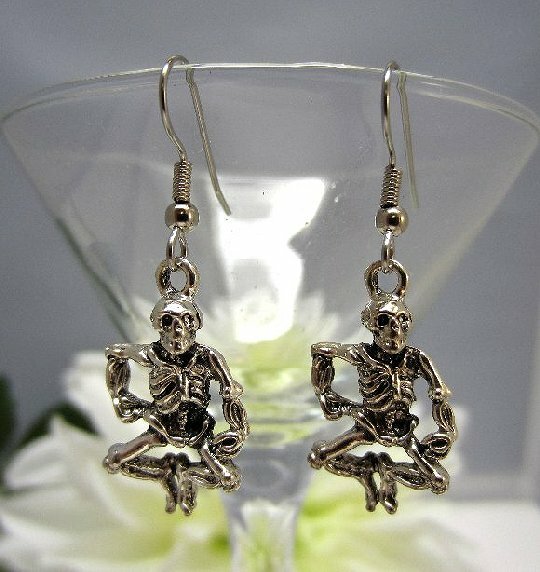 At least that's the invitation the dancing pewter colored skeletons in these metal earrings seem to be saying. 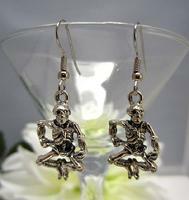 These lightweight goth lovelies dangle about 1-1/2" from the tops of their surgical steel earring hooks. They're just the things you want to wear for Halloween or Day of the Dead festivities. Make no bones about it, we know how to know how to let the good times roll here at SPARKLE PLENTY.